Introducing the Bosch WAN24000GB VarioPerfect washing machine 1200RPM 7Kg in white. This Bosch washing machine is both quiet, effective and has been built to last without compromising on performance. The Bosch washer is packed full of energy and time saving features and functions. The WAN24000GB has an EcoSilence Drive motor and anti-vibration side panels, making it much quieter than previous models. With Bosch's ReLoad function, you can pause the machine to add or remove items. This model also has the 3D AquaSpa wash system which helps the detergent and bubbles penetrate the wash load, leading to quicker wash times. A simple fully electronic control dial is used to select wash programmes, temperature and special progammmes. The Bosch WAN24000GB washer is the ideal washing machine for a larger household with its ample 7kg wash load. Special programmes such as mixed load and delicates will allow perfect results for most fabric types and loads. 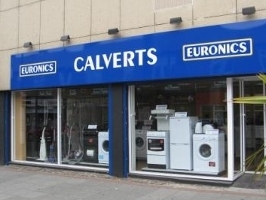 This Bosch washing machine is an exclusive Euronics agency model.